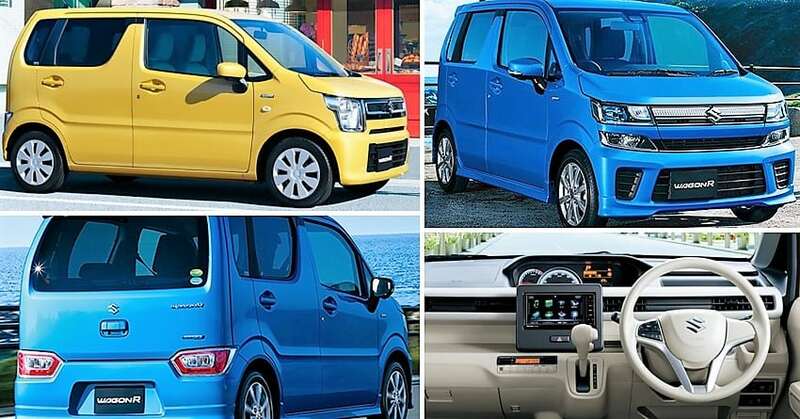 Maruti Suzuki India Limited (MSIL) introduced the third generation Wagon R on January 23 with much anticipation as it has been the biggest upgrade in the lifecycle of the popular tall hatch in the domestic market. The 2019 Wagon R is based on the fifth generation Heartect platform and has certainly grown in dimensions allowing for more interior space. Moreover, the exterior has been completely revised with modern design elements and a more prominent front fascia comprising of updated headlamps and grille section along with a brand new bumper and fog lamps. The rear takes inspiration from the Ertiga as the vertically positioned tail lamps supplement the signature tall pillars and an almost flat roofline of the Wagon R.
The interior has also gained substantial improvements with the presence of touchscreen infotainment system and a redesigned dashboard. What came as a biggest surprise was the arrival of the 1.2-litre K series four-cylinder petrol engine from Swift producing 83 PS and 113 Nm, and is connected to either a five-speed manual or a five-speed AMT. The new Wagon R was expected to receive CNG treatment right upon the launch but Maruti Suzuki has taken just over a month to big it back into contention. In an exclusive report we can reveal that the largest automaker in the country launched the 2019 Wagon R CNG with the 1.0-litre engine in the entry-level LXi grade. The 2019 Maruti Suzuki Wagon R LXi CNG is priced at Rs. 4.84 lakh while the LXi CNG (O) is Rs. 5,000 dearer at Rs. 4.89 lakh (both prices, ex-showroom New Delhi). It is offered in three colour options: white, silver and grey.